The Clinique Pretty Easy Eyeshadow Palette / Palette Yeux : features 8 gorgeous shades, perfect blend of Matte ‘n Shimmers, as they say. Now, while talking about this palette, the first thing that comes to my mind is it’s packaging. It has an almost mirror like finish, but is not a mirror. Hence, won’t break if fell off. And one can see their reflection, almost as if looking onto a mirror. Stunning, ain’t it? ❤ 🙂 The palette features 8 stunning shades in matte & shimmer textures, perfect for a day and/or a night time look. c. Dark Shade from Light Mink Duo: Bronzy Coppery Shade, for that sultry blown out smokey look, applies beautifully on the lid, buttery soft & blendable. d. Jute Brown-Wear everywhere Nudes Octet: It’s actually a dark brown with shimmers, great for smoking out the outer third of the eyes…for intensifying the outer corners. e. Light Shade-Night Cap Duo: The most perfect shimmery silver shade for a silver smokey eye, with tints of reflective green, as one blinks. Pure gorgeousness, indeed! f. Peppercorn Shade-Wear everywhere Blues Octet: A dark grungy blue with fine silver shimmers, for a dark sensuous blown out smokey eye. g. Lightest Shade-teddy Bear Quad: Perfect Shimmery Browbone highlight, provides a lifted & sculpted proper look to the eyebrows, catching light for the perfect gleam. The palette also comes with two eye-liners/kohl..one black n the other brown, known as Slimming Black & Simply Sable respectively. The palette is a complete set, comprising of shadows & liners for a full blown eye makeup look. 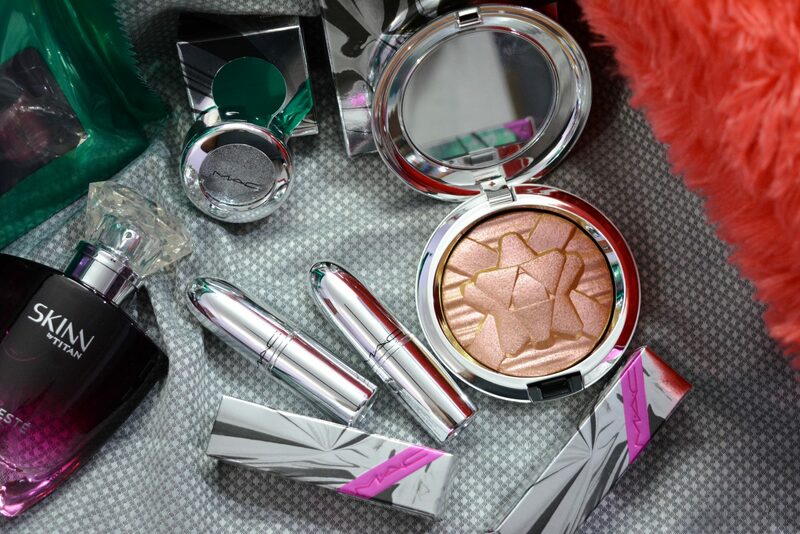 Perfect & pretty, travel-friendly, plus the outer packaging doubles-up as a mirror too. Bonus..! !